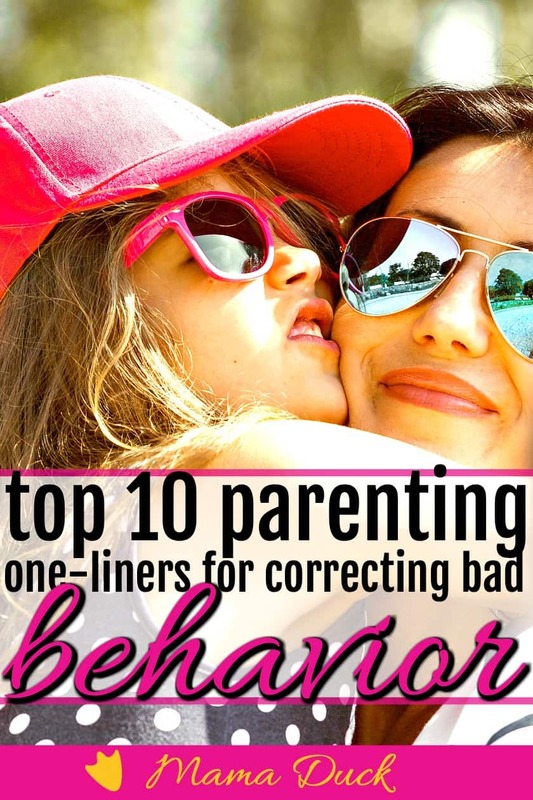 Top 10 Parenting One-Liners For Correcting A Child's Bad Behavior. 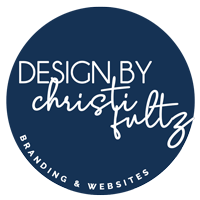 You are here: Home / Preschooler / Preschooler Behavior / Top 10 Parenting One-Liners For Correcting A Child’s Bad Behavior. 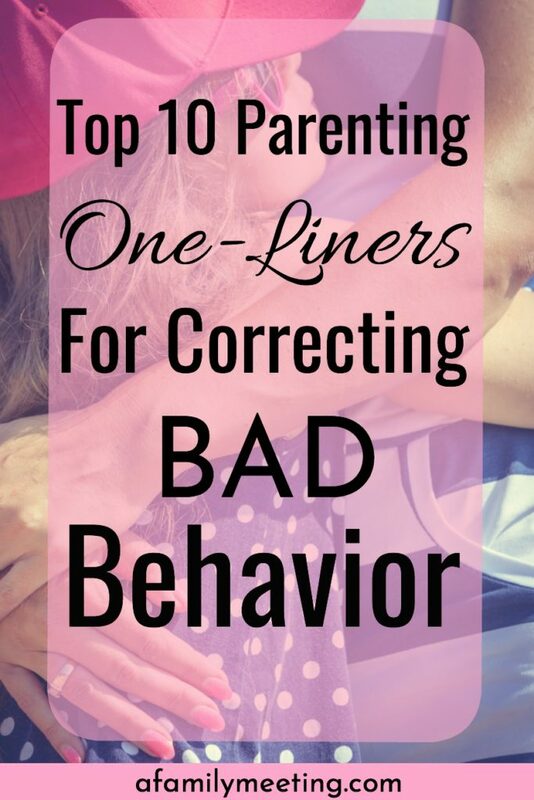 Top 10 Parenting One-Liners For Correcting A Child’s Bad Behavior. You know when you hear another mom say some great parenting one-liner to her child, and you think to yourself, “Woah! That is really good! 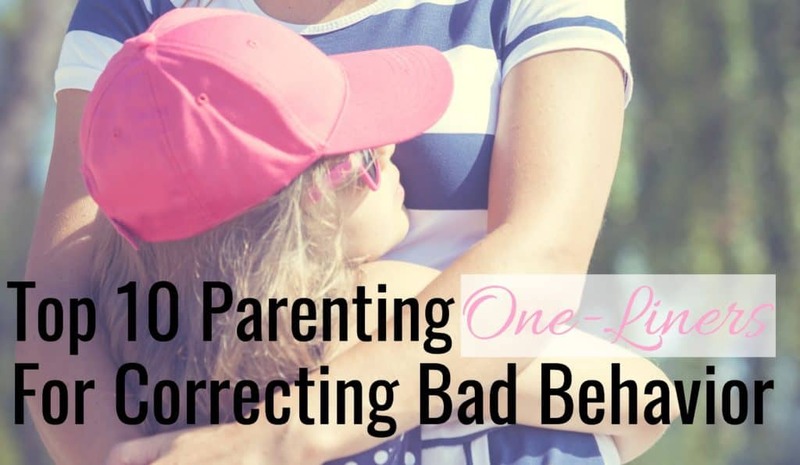 I’ll be using that!” A good parenting one-liner for correcting a child’s bad behavior, can fix a bad attitude, refocus perspective, stop whining, or any number of other child training issues with just a few words. I’m all about as few words as possible. Children are too busy both in their bodies and in their brains to listen to long speeches. Parenting in the early years of a child’s life is all cause and effect. So for today, I am going to give you my list of super-effective/favorite parenting one-liners. But before I do, I want you to know that while these words can be very effective, it’s actually the actions that back up the words that make them so powerful. Find out more about how to follow through in your parenting here. I’ll give you one example of what I mean before we move on so that you can carry the understanding with you as you read through the list. What Is A Good Parenting One-Liner? For instance, one of my very favorite parenting one-liners is: “I can’t understand your words when you sound like that!” This is what I use when my toddler/preschooler is trying to communicate something but doing so in a whiny voice. While I actually do understand him and know what he wants, I won’t respond until he talks in a pleasing voice. I’ll coach him a handful of times on the right words to use and the right tone to say them in. I make him repeat after me 3-4 times until he gets it right, then I’ll give him what it is he wants. After a few times of this, all I need to say is, “I can’t understand you.” And he knows what to do. He’ll try again and again until he gets it right, knowing that he won’t get what he wants until he does. OK then, so you get it, right? Great! #1. I Can’t Understand You! I used this as the example because it’s just so stinkin’ good! A family member once told me how nice it was to be around my kids because they didn’t whine. At that moment, I considered all the time and effort I had put into training them how to speak pleasantly and knew it was all worth it. Their communication made people enjoy their company. Win! #2. Is It Worth It? The longer your are intentionally parenting your child, the better this works. After months and years of both good and bad consequences, you can use this line to make them pause; stop and consider their behavior, and respond appropriately instead of irrationally. #3. What Would You Want Me To Do To You? When trying to help a child understand the “Golden Rule” use yourself as the example instead of other children. If you treated your child poorly, he would be more hurt than if another child treated him that way. So when you say, “do unto others as you want to be done to you” it’s more effective to put it into the context of “what IF I WAS the one who did that to you?” Your child will feel more empathy and see more objectively that way. He’ll also consider the fact that you would never do that, which deepens your bond. Win/Win! #4. What Would You Want Me To Say To You? As with number 3, this works well to make your child consider the words she is using. Asking herself this question forces her to think objectively about her words. What if mommy was saying them to me? How would I feel? Wow, that would hurt, I should not be saying these words to others. #5. That’s Not Who You Are! This is another one that works great with intentional parenting. When you have spent a lot of time teaching a child who she is, what your family represents, and what it stands for, considering whether her actions line up with these things or not will help her refocus her perspective. #6. You Must Fill In The Blank Now. I heard another parenting expert use the must & now example at a conference once and we have implemented it ever since. The man speaking was asked to come up with processes to help the military train new recruits. He found that when an authority figure delivers commands, he or she must be completely clear. Meaning you should say exactly what you want done and when you want it done. For instance, using the words, “You Must Go To Bed Now,” lets your child know it is unarguably bedtime right now. #7. I Want To Say Yes. #8. I Love You Too Much To Let You Do That. You get this, right? My favorite song right now is Reckless Love by Cory Asbury. Google it and give it a listen. Then you’ll understand why I tell my kids this: If I saw you walking towards a cliff, I would run as fast as I could and tackle/pummel you if it meant stopping you from going off the edge. #9. You Don’t Have To Understand. Parents regularly get caught up in the trap of falsely thinking they have to explain everything to their children. You don’t. It is great to discuss what your family stands for, why you function like you do and what your vision is as a whole. However, there are all kinds of cognitive abilities that your child does not have yet. So trying to explain every decision you make is a huge waste of time and counterproductive as it only serves to exasperate a kid. There is so much information floating around about what is and is not good parenting. What is good for your child and what isn’t. You know why there’s so much information? Here’s the honest-to-goodness truth… there’s a crap ton of information because there’s a crap ton to know!!! One thing you’ll read lots of conflicting information about is using the word NO with your child. Here’s what you should consider: your child will hear NO for various reasons for the rest of his life. Sometimes the answer is just NO. It’s good for him to know how to deal with and respond to life when the answer is NO. Some would say there is no right formula for raising a great child. I disagree. A formula is simply a collection of best practices. Raising a great kid is the result of a lot of best practices, gathered based on what’s important to you as a parent. Some things are uncompromising and absolute. While others can vary depending on what your family vision is. The absolute is what I am all about!! These are the things that you absolutely do not want to miss when raising a child. Since that is a huge responsibility and really overwhelming to think about, I created a parenting goals map available in the parenting scrolls. Request the password here. The map will help you decide what it is you want to accomplish with your child above all else, and see a clear path to get there! The best place to start is by getting my 5 Steps To Raising A Well Behaved Child Parenting Ebook for free HERE. Once you receive that, you’ll have the password to access my private resource library with the parenting goals map in it. « The Single Most Important Thing Every New Mom Needs To Know. These are all great! One that I use often is “Asked and answered.” This helps immensely with the buts, whys, and negotiating that ensues after a question is asked and they do not like the answer I have given. “Asked and answered.” stops all the back and forth between us. Nice one 🙂 Thanks for saying hello, Shay! These are all so powerful. I often fall into the trap of trying to explain my reasoning. I get so frustrated and then stop, regroup, and explain that it’s not something they need to know. Thank you for sharing these! Hey Stephanie! Explanation station is an easy trap to fall in to! And it gets more difficult, the older a child gets. Thanks for saying hello!